Speeding up the best in mental health together with the four SIM London pathfinder NHS Trusts, South West London and St. George’s Mental Health trust, South London and Maudsley, Oxleas, Camden and Islington NHS Foundation Trust alongside the Metropolitan Police is a pioneering mental health project for the Health Innovation Network. SIM London is a new way of working with mental health service users who experience a high number of mental health crisis events. SIM brings mental health professionals and police officers together into joint mentoring teams. The police officer and the mental health professional work together to provide intensive support service users to reduce high frequency and high-risk crisis behaviours. Central to SIM is the Care and Response Plan completed by the service user, SIM Police officer and the SIM Mental Health professional. SIM developed by Paul Jennings (recipient of multiple awards) on the Isle of Wight, has gone from strength to strength in terms of the lives improved, fewer 999 calls, fewer Emergency Department attendances and fewer hospital admissions. 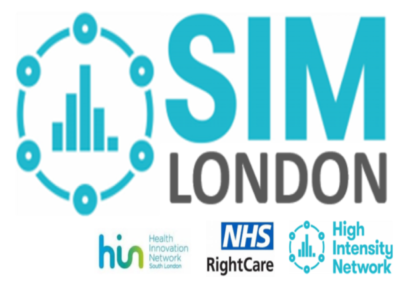 SIM is going national, the benefits of the involvement of the HIN in leading the London pathfinder implementation, the new sites will we be able to measure. We will share resources, highlight obstacles and solutions and capture and spread the dedication, commitment and enthusiasm we are encountering to implement the programme. Learn more about SIM and the High Intensity Network here.